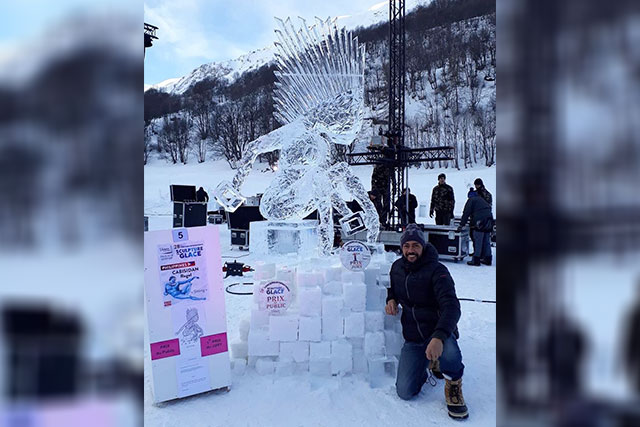 The 46-year-old Rogel Cabisidan from Paete, Laguna bested 19 international ice sculptors in the recently held 28th Valloire International Ice Sculpture Competition in the southeastern city of Valloire Savoie. 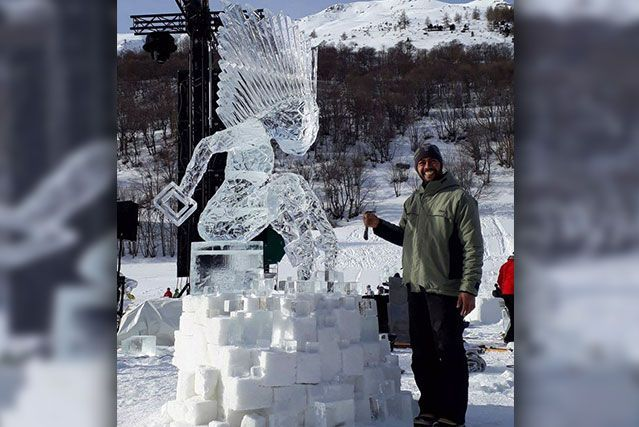 Cabisidan was named "King of ice carvings" for his ice masterpiece entitled "Sitting" showing abstract form of a woman with raised hair sitting on a pile of ice cubes. The competition was held from January 15 to 18 with participation from different countries including France, Russia, Denmark and Mexico and among others. Cabisidan who have been working as a chef in a cruise restaurant in Lyon, France has been loved to carving and sculpting even when she was a kid. He did using various materials like wood, fruits, butter, cheese and chocolates. 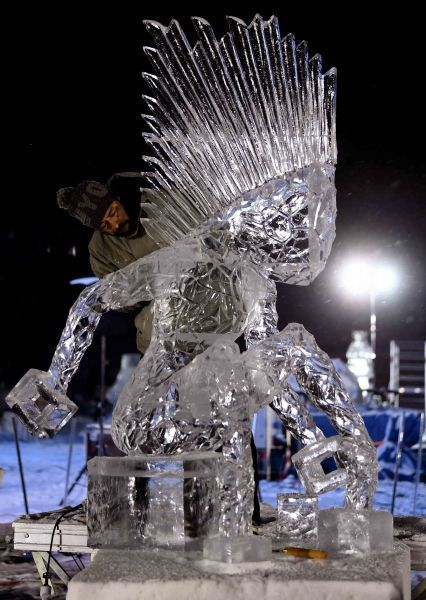 He proved to the world that even Filipino who came from tropical country could be the king of ice carvings. “Nagustuhan ng judges kasi transparent ang yelo at walang crack kasi maganda ang temperature lalo sa gabi -12, -8 kaya na-maintain namin ang ganda ng yelo. Nag-stay kami hanggang 1 o’clock para kasi doon ang maganda ang yelo. Maganda magtrabaho kasi matigas tapos pwede kang magdikit ng yelo. Hindi siya matutumba kasi malamig,” (The judges liked it because the ice was transparent and there were no cracks. That’s because the temperature was favorable -12, -8 so we were able to maintain the quality of the ice. We stayed until 1 o’clock when the ice was strong and the best quality to work on. You can attach a piece on it and the figure wouldn’t break because of the freezing temperature. )” Roger explained how he made the winning sculpture.